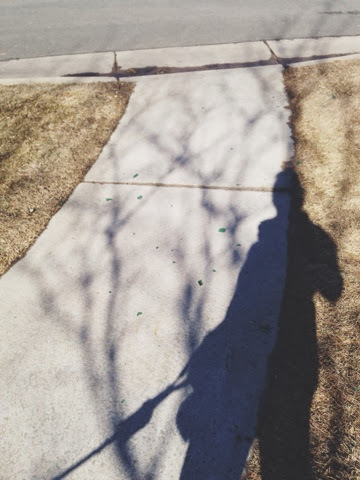 Last week the temperature finally got above freezing and the sun was shinning. I knew the nice weather had a short lifespan, so I decided to take Monty for a long walk. Let's face it, winter really puts a damper on the dog walking schedule and frankly we both needed a little exercise. Plus, I thought a little vitamin D would help break my funk. I grabbed one of Monty's waste bags, put on the winter gloves I had in my pocket, and collected all of the green glass my eyes could spot. 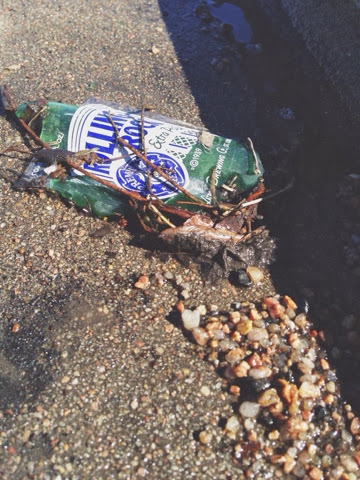 As I walked towards the curb I found the culprit - a Rolling Rock bottle. I'd like to believe the trashmen dropped it as they were hauling away garbage, but in reality it could have been a drunk driver tossing an empty out the window. I will never know the answer, but I feel better knowing that majority of the glass has been picked up. I tied the bag when I was done and carried it home to toss away. Key takeaways: Don't litter and don't drink and drive.